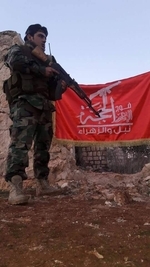 Fawj al-Imam al-Hujja (The Imam Hujja Regiment, Hujja being a reference to the Mahdi), is a Syrian Shi'i militia based in the two Shi'i villages of Nubl and Zahara' to the north of Aleppo city. 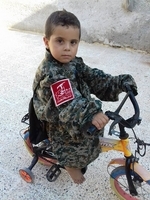 Set up in January 2016 just prior to the breaking of the rebel siege of these two villages in an initiative spearheaded by multiple foreign Shi'i militias (therefore, intended to coincide with this breakthrough), Fawj al-Imam al-Hujja is affiliated with Hezbollah. The group's main focus, naturally, is on the fighting in Aleppo.